Our company has mastered the art for providing Zebronics Wired Mouse to the clients. Offered range is acknowledged for robust construction and many other attributes. This product has been tested on various quality defined parameters to ensure it quality. 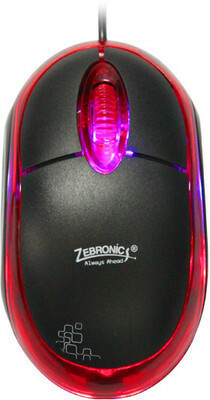 Zebronics Wired Mouse is provided in different dimension for customer comfort. Jain computers inc. is a renowned name in industry engaged in serving the needs of industry for computer, laptop and allied products since its beginning in the year 2014. With its main offices based at Bengaluru, Karnataka (India), our company is engaged in executing its entire business as a Sole Proprietary venture. We offer products such as Multimedia Speaker, Mini Desktop, Electric Cable and many more. We are also known to provide Repairing Service to our customers in industry. We have put our best efforts to provide quality and service to our precious customers. The gamut of products that we deal into is procured from trusted and reputed vendors who have won the trust of various clients in the market. Our products are easy to install and have longer operational life and give ultimate performance at clients end. All these features make them in huge demand in market.